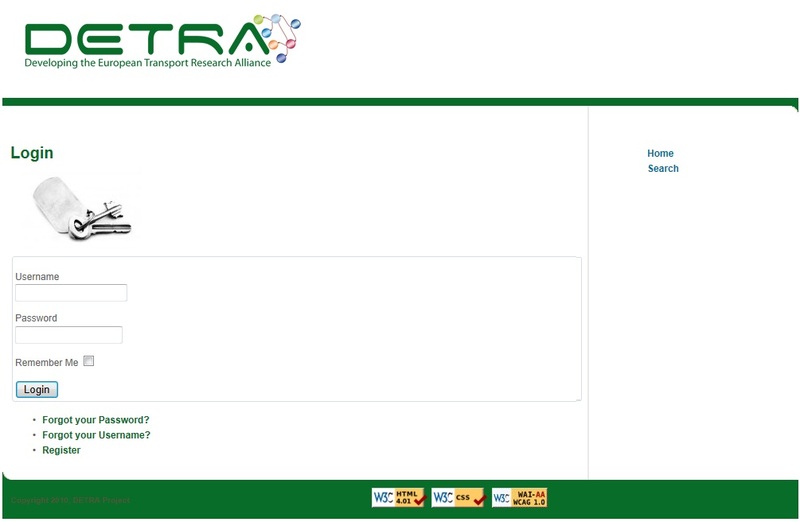 An online database for the concentration of the Research Programmes has been developed by CERTH which gives all the DETRA partners the opportunity to both Search and Insert information about any Research Programme and Roadmap. Presently it contains roughly 40 well-coordinated roadmaps and research work programmes from various research and industry organisations and covering various transport research areas. Click here or on the image below to access this database.